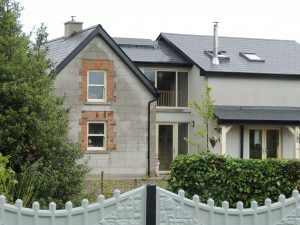 When you ask a random person about adding a solar system for home in Dublin, the first advantage they usually mention is how it will help them to save money. This is correct as adding a solar power system will help reduce your costs of electric or other methods of power and help you to save big. Businesses for example, can save thousands of dollars a year or even a month by making the switch or at the least, switching out a few appliances. You can save a lot in your house as well but there are more advantages to this technology then just trimming your monthly energy costs. How often do you lose electric in your area? Is it once in a while, rarely or quite often? What about when a big storm hits? The truth is that we are so reliant on a single energy source and if it goes out we are left without an alternative. Imagine not having energy for a week. How would you shower, keep your food cold, keep your house at a comfortable temperature? This gives you a new reason to consider a solar power system and it has nothing to do with saving on energy costs. LVP Renewables will show you all the benefits of adding a solar system for home, rather than just the obvious ones. For example, did you know that these are great options to also raise property value? This type of information helps you make an informed decision on what to purchase. If you have considered these options for years but are not sure if now is the right time, we invite you to contact us and receive a free quote. We are excited to help you get started and learn the facts you need to make the best decision for your house or business. Energy is one of the most dispensable resources today. With increasing cost and gradual reduction of valuable renewable resources, it is important to harness the energy that is freely available to every household- Solar Power. Not relying on a single source of energy. Utilising solar energy to power up every corner of the house. Never stay without power because of the efficient storage of solar energy. Great way to raise property value. Greener way to power your home. Many people rely on electricity completely in order to lead a comfortable life. However, the biggest advantage of a solar system for home is that you never run out of energy and households can utilise this to power up the entire home or to run critical appliances every day. Every solar power system is designed to meet the specific requirement of a household’s annual consumption. The concept ‘one size fits all’ does not apply while installing a solar power system for home. After a detailed analysis of the house, LVP Renewables helps with the complete installation and maintenance of the solar system to ensure that residents do not feel any discomfort while using it regularly.